For me, dyeing is the process of taking a beautiful fleece and personalizing it. It becomes art, yet this is still just one more step along the journey of turning your fiber into the finished piece, whatever that may be. I trained with Natalie Redding from Namaste Farms for over a year to become a certified Master Dyer and teacher and her techniques are inspiring. 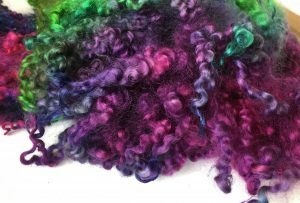 In a dye lesson, which is taught either one-on-one or with your small group, we will cover the basics of dyeing, the chemistry, and the tenets of the Redding Method philosophy. 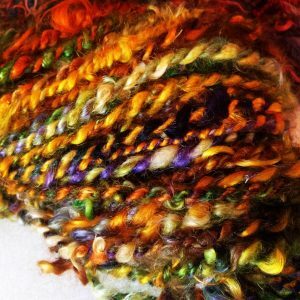 We will dye your fiber in the colorway of your choice, either kettle dyeing or oven dyeing. 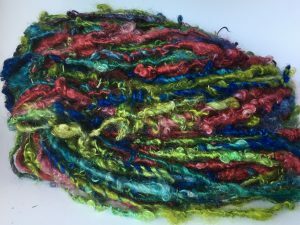 If you would prefer to learn to dye finished yarn instead of loose fiber, we can move the dye lesson around to accommodate that. 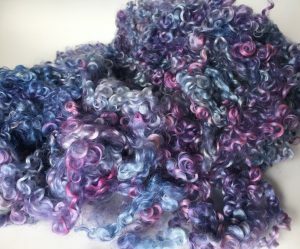 If you would like to learn to dye milled yarn, please let me know in advance, along with your weight preference, and I will order some in for you. The cost of the lesson covers the shampoo, dyes and tuition. 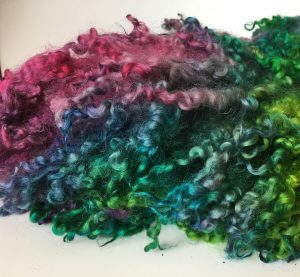 Beyond this initial lesson, further dye classes are available to cover other techniques, troubleshooting and colorways.